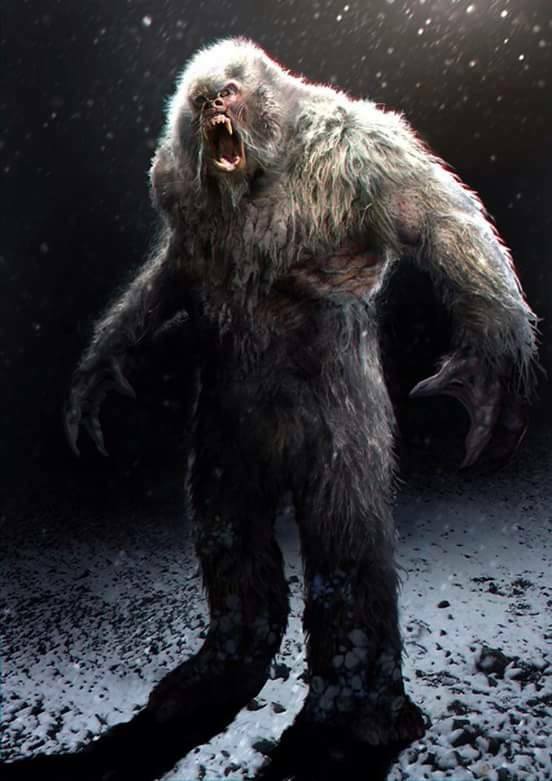 Early Sunday Evening roars and yowls, tail-whirling KitKats ... so, over the recent years the Kougar has heard a few people talk about their bad experiences with Big Foot ... as the picture emerges, there are many different types of Sasquatch critters ... as far as appearance, and now as far as good versus bad behavior ... oh, and supposedly, there are, like the Wookie of StarWars, ET Bigfoots .. tuth to tell, this Big Cat believes that because it just makes sense to her ... while the Kougar DOES NOT study every little fact about Sasquatch ... and has not studied them deep, deeply ... she has for the last two decades listened to lots of interviews, and read many articles... yes, Bigfoot is a fascinating creature indeed. Thus, when the Kougar watched this vid ... omygawd!!! 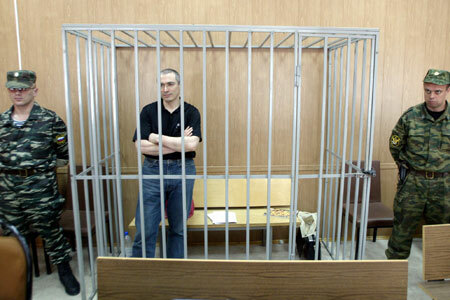 According to this report, Mikhail Khodorkovsky is one of the most infamous criminals in Russian history, whose looting of state resources in the turmoil of the Soviet Union’s collapse, enabled him to become Russia’s richest person—but whose crimes were discovered leading to his arrest, trial and conviction—and whose trial the European Court of Human Rights ruled was not politically motivated, but rather “that the charges against him were grounded in reasonable suspicion”—with their further ruling that Russia did, in fact, violate Khodorovsky’s detention procedures (length of time held before trial), and for which he was paid €24,543 ($29,813). Joining Mikhail Khodorkovsky in this new plot devised by Hillary Clinton to destroy President Trump before he can convict her of her crimes, this report continues, is the former disgraced US Congressman Ron Dellums—who was the hired lobbyist for Russian lawyer Natalia Veselnitskaya, who met with the Trump campaign before the 2016 US presidential election—and whomVeselnitskaya claims directed her to hire Fusion GPS, who were the creators of the so called “Trump-Russia Dossier” that Hillary Clinton paid millions-of-dollars to create—but withVeselnitskaya calling this dossier “absolute nonsense”, and her further claiming that Fusion GPS co-founder Glenn Simpson was “framed” in the creation of. 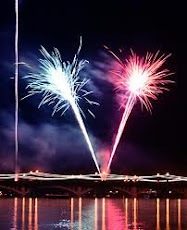 If, as Natalia Veselnitskaya claims, Fusion GPS co-founder Glenn Simpson was “framed” in the creation of the “Trump-Russia Dossier”, this report says, the “glare of suspicion” in whom would do so must fall upon Daniel J. Jones—who as a former FBI operative that worked for Hillary Clinton’s Democratic Party leaders in the US Senate, now heads the mysterious Americanpolitical opposition organization named the Penn Quarter Group. 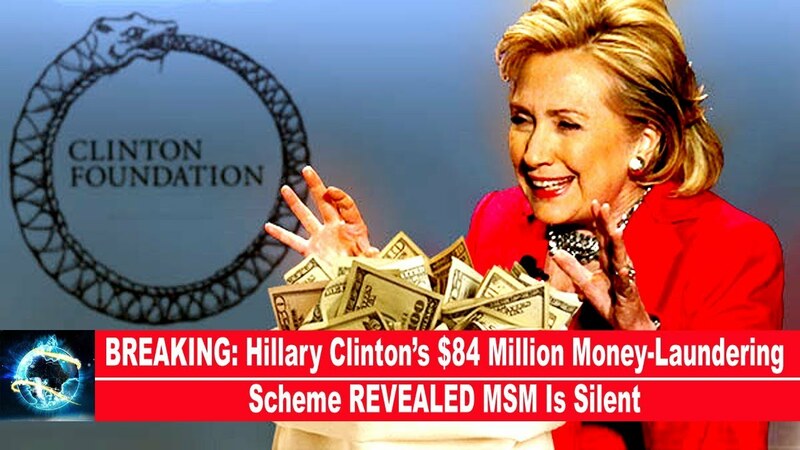 Under the direction of Daniel J. Jones, this report details, Penn Quarter Group is now being funded with $50 million supplied by George Soros and a mysterious group of 7-10 wealthy Hillary Clinton donors from California and New York to compile more “fake news” claims that President Trump has colluded with Russia—with a “substantial portion” of this money being funneled fromPenn Quarter Group to the Swiss offices of the Russian convicted criminal Mikhail Khodorkovsky. 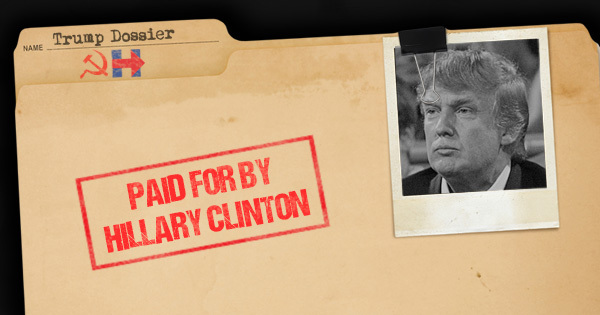 Upon his receiving these millions-of-dollars from the Penn Quarter Group, this report notes, Mikhail Khodorkovsky created a new organization he calls “Dossier”—and whose first action this past week saw him releasing the stolen private emails of Natalia Veselnitskaya that the US mainstream propaganda media quickly claimed constituted “proof” that she was an “informant” and a Russianspy—but whose true facts of show no such thing as all that Veselnitskaya’s stolen emails confirmed was that in the past she had worked closely with the Russian Ministry of Justice—and is a requirement in Russia for all private attorneys to aid the Ministry of Justice in the investigation and stopping of potential crimes and injustices—just like it is in the United States where all private attorneys are, also, “Officers Of The Court” having an obligation to promote justice and effective operation of the judicial system—but that in no way makes them spies for the US government, as it would be foolish to even believe such a thing. As to why Hillary Clinton needed the Penn Quarter Group to join with convicted Russian criminal Mikhail Khodorkovsky in this sordid plot to destroy President Trump, this report continues, is due to Trump loyalist forces quickly closing in on her for what is becoming the largest theft in American political history—and that involved a mass money laundering scheme where Hillary took complete control of the Democratic Parties national finances in order to funnel into it $84 million donated to its individual state party branches—thus enabling her oligarch backers to illegally give unprecedented amounts of monies to the state organizations that had no limits on what could be donated to them—with this money then being sent to the main Democratic Party, that under strict UScampaign finance laws was forbidden to spend any of this money on a national campaign, as it could only be spent on elections in the states from which it was raised—but that Hillary, instead, ordered to be put in her own bank account. With countless state Democratic Party organizations, like Florida, now being called to account by Trump’s federal government for the vast amount of money missing from the accounts, this report further details, the last vestiges that Hillary Clinton even cared for this political party in the first place where wiped away this past week when it was shockingly revealed that she was making theseDemocrats pay her millions-of-dollars for her 2016 presidential campaign donation email lists, instead of like Obama, who gave them away for free. 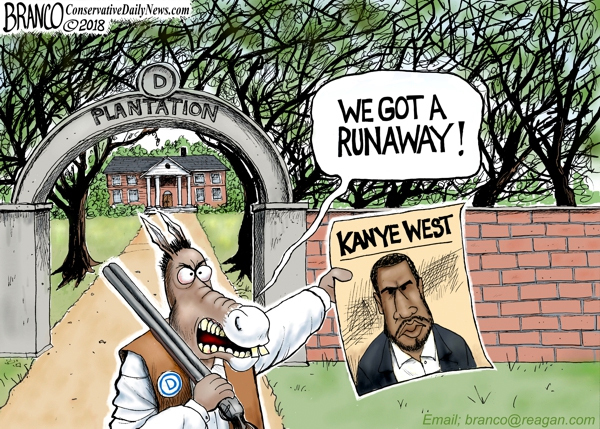 By Hillary Clinton’s outright looting of the Democratic Party by her massive theft of their resources, and her outright extortion payments for her email donor lists, this report continues, she is singlehandedly destroying any hope these Democrats have of obtaining election victories in the coming crucial 2018 Midterm Elections that will decide the fate of the US Congress, no matter how much money they raise—as the grim reality for these Democrats shows that their having to spend so much money in their primaries will leave them nothing left for the midterms—and is why theDemocrats are now outrageously denying their own voters the chance to choose their own candidates—and as evidenced by top Democratic Party leader, and US Congressman, Steny Hoyerhaving just been secretly recorded ordering those candidates his party doesn’t like to get out of the election. 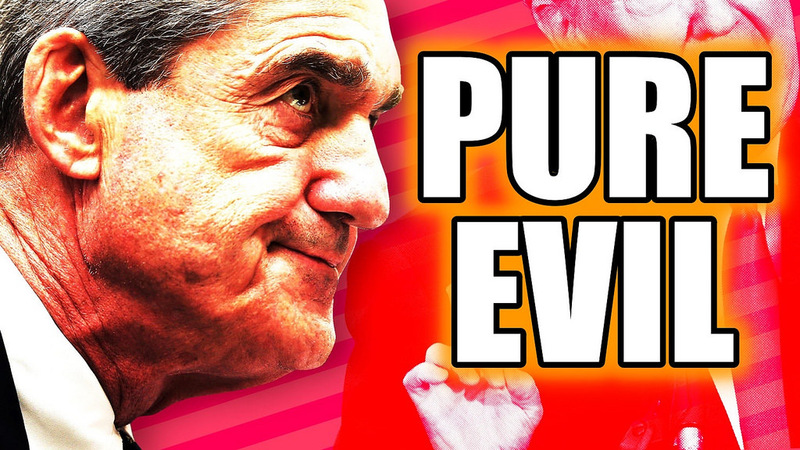 Of course, and as always, this report concludes, the American people are not allowed by their mainstream propaganda media to know about Hillary Clinton joining with Russian criminal Mikhail Khodorkovsky in this new and vile plot to destroy President Trump, while at the same time she destroys the Democratic Party too—with these people, instead, being warned (seriously, you just can’t make this up) that “civilization is now on the brink” because a popular black music entertainer named Kayne West tweeted that he loved Trump—but with West’s truest crime being hishaving enraged his leftist Democratic Party “plantation owners” who are now chasing him down like they once did their “runaway slaves”. April 29, 2018 © EU and US all rights reserved. Permission to use this report in its entirety is granted under the condition it is linked back to its original source at WhatDoesItMean.Com. Freebase content licensed under CC-BY and GFDL. Mount Io (Iwo-yama volcano) erupts for the first time since 1768, Japan:Kirishimayama is a large group of more than 20 Quaternary volcanoes located north of Kagoshima Bay. COLOSSAL statue of Ramses II, was ALIVE *reloaded ``(Tanis, Egypt)-SQ-REAL GIANT ENCASED IN STONE EXOSKELETON!This Egyptian statue appears to have anatomical human remains under the eroded exterior.It is simply not deniable. SOLARIS WAS A VICTIM OF REMORTE MIND AND BODY CONTROL ... HER STORY IS ABSOLUTELY HORRIFIC ON IT'S FACE ... HOWEVER, SHE HAS BRAVELY DETERMINEDLY OVERCOME... BTW, AMAZON CLAIMES THE BOOK IS OUT OF PRINT ... REALLY??? 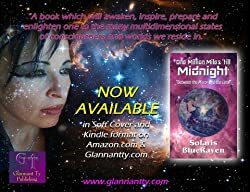 Solaris BlueRaven is a published author, producer, writer, editor and public speaker with a professional background in covert technology, surveillance, investigative research, healing modalities and technology. 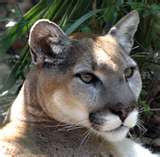 Ms. BlueRaven is also a certified 2nd Degree Black Belt and has an extensive background in Advanced Sciences and Mystical Alchemy. Please see her website Nightshadow Anomaly Detectives for more information. 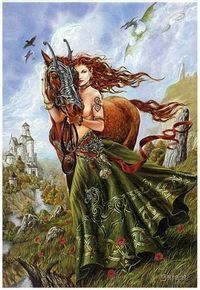 Ravenstar’s Witching Hour – airs every Saturday night 12 Midnight EST on Revolution Radio at freedomslips.com. Hyperspace – airs each Friday at 12:00 Midnight EST/09:00 P.M. PST on KCOR Digital Radio Network. The US government may have been secretly collecting documents on ‘remote mind control’ and ‘forced memory blanking’, accidentally leaked files suggest. In what sounds like a plot from the X-files, they revealed research into bizarre ‘psycho-electronic’ weaponry. MailOnline has contacted the parties involved to verify the claims, but has yet to receive a response. PRINCE, DID HE BELIEVE IN GIANTS??? Guess What Was Just Found Amidst Dead Rocker Prince’s Personal Belongings In His Paisley Park Multi-Million Dollar Compound—STEVE QUAYLE’S BOOK ON GIANTS WITH A BIBLE! Was Superstar Singer Talking To God Before Overdose? 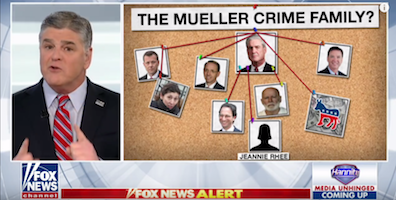 MUELLER THE MURDERER ... Who Could Dream This Mueller-Psycho Stuff Up? 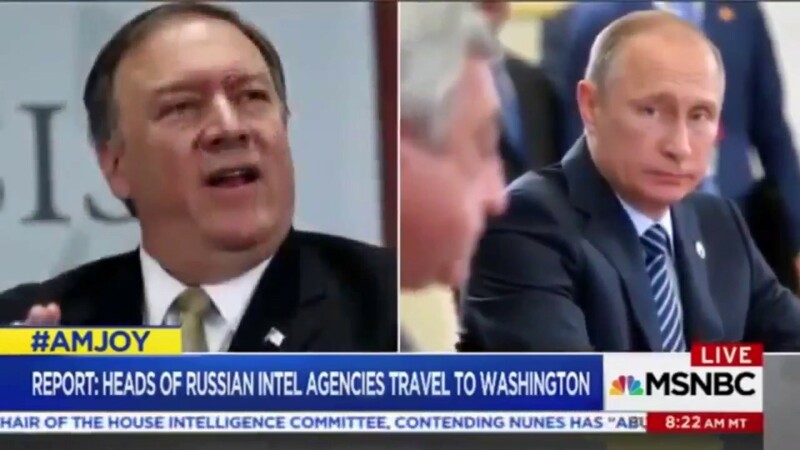 According to this report, on 14 December 2017, President Trump initiated a secure telephonic conference with President Putin wherein several issues of international concern were discussed—but that, also, contained an urgent request by Trump to Putin that a specialized team headed by CIA Director Mike Pompeo be allowed to “personally view and document” historical files complied by the Committee for State Security (KGB) on its “Foreign Resident” operation conducted against the United States by the former Soviet Union from the 1960’s through the 1980’s. The KGB’s “blandly/mildly” named “Foreign Resident” programme, this report explains, was one of the most highly classified spying operations ever conducted by the former Soviet Union against the United States, and that had the same classification rating as the Soviets nuclear weapons programme—and that was able to successfully infiltrated into America over 200,000 Russian criminals who embedded themselves in every US criminal organization known—but who were, likewise, “deep cover” informants for the KGB. 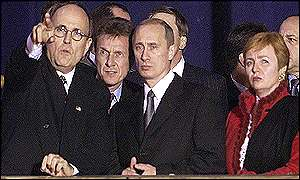 Upon the collapse of the Soviet Union, in 1991, this report continues, all records, files and documents relating to the KGB’s “Foreign Resident” operation were deemed such a “ threat” to Russiannational security, should they ever be used by a single state body, they were divided up nearly equally between the Foreign Intelligence Service (SVR), Federal Security Service (FSB) and theGeneral Staff’s Main Intelligence Directorate (GRU)—but whose first reunification of its data in over 25 years occurred this past January when SVR Director Sergey Naryshkin, FSB Director Aleksandr Bortnikov and GRU Chief Colonel-General Igor Korobov secretly traveled to Washington D.C. to meet with CIA Director Mike Pompeo’s specialized team. The specific information requested by President Trump contained in the KGB’s “Foreign Resident” programme historic files, this report notes, centered on two Boston, Massachusetts, criminal organizations—the Italian Mafia Patriarca Crime Family and the Winter Hill Gang—the latter being led by the notorious FBI-protected informant Irish mobster James “Whitey” Bulger. Upon application of the United States, filed before return of an indictment, indicating that evidence of an offense is in a foreign country, the district court before which a grand jury is impaneled to investigate the offense shall suspend the running of the statute of limitations for the offense if the court finds by a preponderance of the evidence that an official request has been made for such evidence and that it reasonably appears, or reasonably appeared at the time the request was made, that such evidence is, or was, in such foreign country. President Trump’s urgent interest in obtaining these decades old KGB “Foreign Resident” programme files, this report continues, is related to the most powerful criminal organization in Bostonknown as the FBI—that, between 1982-1987, was led by US Attorney Robert Muller—and whom, along with other FBI and US Department of Justice officials, participated in, and covered up for decades, one of the most heinous crimes ever committed by the FBI that led the death penalty jailing of 4 wrongly convicted Boston mobsters—2 of whom died before the Mueller’s and theFBI’s crimes were exposed. 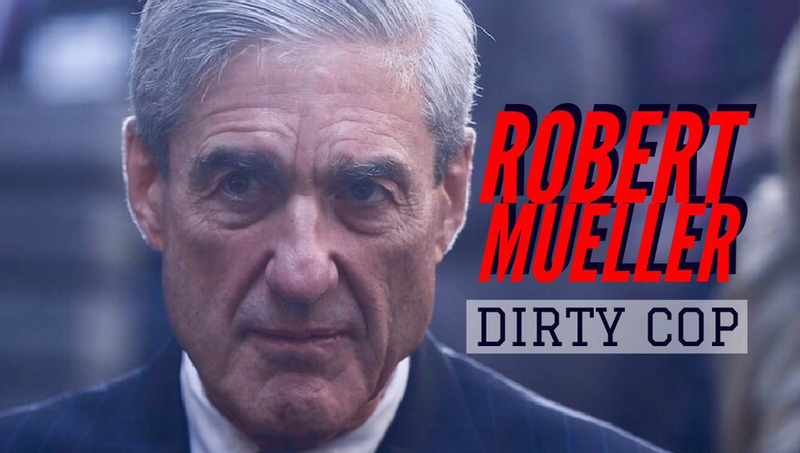 With now Special Counsel Robert Mueller’s role in the infamous “partnership” between the FBI and the Boston Mafia, that involved multiple murders, racketeering, extortion, witness tampering, and much more, being exposed, this report further details, retired FBI Special Agent Coleen Rowley stated accurately that neither Mueller or his criminal crime family accomplice former FBI Director James Comey were “heroes”—with Rowley, also, grimly noting that when the truth about Bulger was finally uncovered, it was American taxpayers who footed the $100 million court award to the four men framed for murders committed by the FBI-operated Bulger Winter Hill Gang. To the evidence that President Trump is now using the KGB’s “Foreign Residence” information against Special Counsel Robert Mueller as a threat to indict him for murder, and/or other conspiracy charges, this report concludes, can be seen in US Deputy Attorney General Rod Rosenstein having just informed Trump that he is not a “target” of any of Mueller’s probes—and that led to the disgraced former FBI Director James Comey stating that he doesn’t have confidence in Rosenstein anymore—but with Mueller and Comey now being faced with one of the most feared “legal pit-bulls” in America named Rudy Giuliani who just joined Trump’s legal team—and who, aside from vowing, yesterday, that he’ll shut down Mueller “in a week or two”, is the rarest of people in the US as he’s personal friends with both Trump and Putin, and who, also, most surely knows “where all the bodies are buried”. April 20, 2018 © EU and US all rights reserved. Permission to use this report in its entirety is granted under the condition it is linked back to its original source at WhatDoesItMean.Com. Freebase content licensed under CC-BY and GFDL. In this recent story over at the Express they report that a robot has just been nominated to run for mayor in a city near Tokyo, Japan, a world's first with the machine running on a platform of promising to be 'fair and balanced' to all of its constituents in what is being called the latest major breakthrough into modern, every day life for AI. 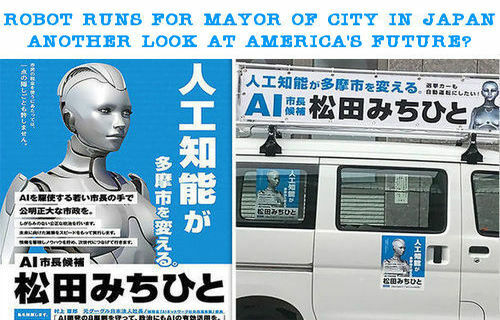 Campaigning under the slogan of "artificial intelligence will change Tama city", Michihito Matsuda (as the robot is called) has had its image plastered upon posters and automobiles all over the area, claiming that AI will surely improve politics and life. According to Japanese news website Otaquest, in an attempt to offer “fair and balanced opportunities for everyone”, the AI mayor would analyse petitions put forward to the council, breaking down the pros and cons and statistically dictating what effect they would have. And while citizens cannot legally vote for 'robot' Michihito Matsuda and will have to vote for the human Michihito Matsuda who came up with this bizarre idea, we can clearly see the direction this is going with the robot's bid to become the world’s first artificial mayor being financed by two men with links to two of the biggest technology companies in the world - Tetsuo Matsumoto, vice president of global software provider SoftBank, and former Google Japan employee Norio Murakami. Though robot Matsuda may never win the election and this first AI dabbling in politics end up being nothing but a publicity stunt, Axios recently reported that an expected 'anti-robot uprising' will be very real and likely to gain strength in the years ahead as AI takes more and more human jobs in what one AI expert warns will eventually lead to mass chaos. 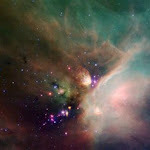 While over the past several months, ANP has published a series of stories about what many experts have called the most important development for the future of the human race with the precipitous rise of artificial intelligence across America and our planet Earth, we continue to be warned of the forthcoming dangers as we see detailed within this ANP story. While many praise the benefits which have come along with AI, as Elon Musk recently warned as we reported in this April 9th ANP story, there is a very real danger that AI will create 'a permanent system of oppression' for the human race, sounding just like George Orwell's 1984 and "a boot stamping upon a human face, forever". The human race has come to the point of no flesh left alive. Transhumanism and genetic engineering, when coupled with the hybridization of human animal 'genetic constructs', are thrusting us back into the Golden Age of mythological monsters and godlike humans. 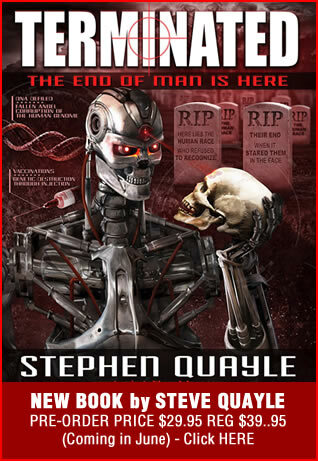 Superheroes, robots and demon-possessed machines will take humanity to the brink of extinction. The false promise of eternal life through technology, with new body parts and perpetual updates to your brain (enhanced neural networks), along with software and hardware updates, will be the ultimate seduction that most will be unable to resist. Obviously, those who will reject this "technocratic clustered paradise" will flee from the autonomous and self-directed slaughter-bots, setting the stage for a 5G electronic prison net run by the Luciferian Elite and their Fallen Angel Overlords, enabling the obliteration of our entire species. 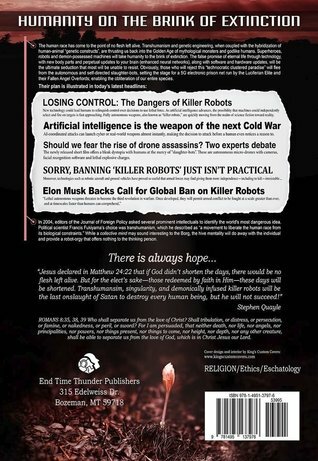 In this February 20th story from the Electronic Frontier Foundation they report that the risk of the malicious use of AI is incredibly serious and with this technology available to almost anybody with very little regulation, we'd be quite naive if we believe that those with bad intentions wouldn't set out to use something that helps to make their lives doing evil much easier. While Steve Quayle has warned that demons would inhabit AI as 'dark and disturbed forces' within it could lead to unthinkable horrors, as we reported on ANP back on April 15th, we now have even more proof that AI is constantly being used to spy upon the masses, with google's AI always listening in, even when we're not on google. As we had reported on ANP back on April 12th, "A Net Has Been Cast Across The Planet And The Monster That Has Been Created Seeks To Destroy Us" within which we reported upon the amazing coincidences between facebook and the Pentagon's DARPA which took us even further down the rabbit hole. Palantir cut its teeth working for the Pentagon and the CIA in Afghanistan and Iraq. 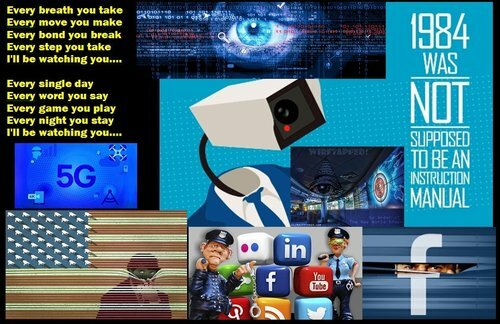 The company’s engineers and products don’t do any spying themselves; they’re more like a spy’s brain, collecting and analyzing information that’s fed in from the hands, eyes, nose, and ears. The software combs through disparate data sources—financial documents, airline reservations, cellphone records, social media postings—and searches for connections that human analysts might miss. It then presents the linkages in colorful, easy-to-interpret graphics that look like spider webs. U.S. spies and special forces loved it immediately; they deployed Palantir to synthesize and sort the blizzard of battlefield intelligence. It helped planners avoid roadside bombs, track insurgents for assassination, even hunt down Osama bin Laden. The military success led to federal contracts on the civilian side. The U.S. Department of Health and Human Services uses Palantir to detect Medicare fraud. The FBI uses it in criminal probes. The Department of Homeland Security deploys it to screen air travelers and keep tabs on immigrants. And as we read in this new story from Gizmodo, Microsoft founder Bill Gates is now backing a plan to survey the entire planet from space, with nearly-live video available with a latency of about only one second. Able to spot a forest fire the moment one started, watch hurricanes or tornadoes forming, catch illegal fishing in the act or assist the media in 'telling stories all around the world', Gizmodo reports not a corner of the planet will be uncovered with an all-seeing-eye always watching, 24 hours a day, 365 days a year, never tiring, never looking away. Does anybody else see something horribly wrong with that? With such technology just the latest death blow to any semblance of privacy in America (or any other outdoors place else in the world for that matter), such tech is becoming the latest piece of the puzzle in this real life "Person of Interest" or "1984" come to life, with ever present cameras watching everything, everywhere, every moment. Back on March 30th we published a story on ANP titled "Our 'Final Invention' May Lead To The 'Final Solution' As Artificial Intelligence Prisons Are Rolled Out For Dissidents In China - Transhumanism And AI Are The 'Dead End' Of Humanity As We Know It" within which we reported upon how we have created that which will lead to our destruction. With AI already being used to create virtual prisons for dissidents in China while it watches us online and by cameras set up all across America, we're told in the final video below that the direction we're heading, AI will eventually keep humans around as their 'pets'. For those who may have missed it earlier, in the 2nd video below, the director of the new movie "Do You Trust This Computer?" joins CBS news to talk about the must-see documentary that takes a look at all sides of AI, the good, the bad and the ugly, with some warning that AI is a greater threat to the future of the human race than nuclear weapons. As we see and hear in the first video below, as human beings living in 2018, AI may be the greatest threat that we face in the future. YEP, KILLING OFF THOSE WHO MIGHT ACTUALLY TELL THE TRUTH ... SADLY, NOT A SURPRISE ... IS IT? CONDOLENCES TO HIS FAMILY AND FRIENDS. Second Broward County Sheriff’s deputy dead, at 53 :Dr. James Tracy’s post on the sudden and untimely death, at age 42, of Broward County Sheriff Deputy Jason Fitzsimons, who had questioned the Parkland school shooting’s gun control agenda. ‘Big Brother’ In India Requires Fingerprint Scans For Food, Phones And Finances. India is scanning the fingerprints, eyes and faces of its 1.3 billion residents and connecting the data to everything from welfare benefits to mobile phones. Apr 19, 2018 · An explosion set off a huge fire at Valero Energy Corp's 225,000 barrel-per-day (bpd) Texas City, Texas, refinery on Thursday afternoon but the fire was quickly contained, according the City of Texas City Emergency Management office. Educational Fraud Continues :I’m not sure about what can be done about education. But the first step toward any solution is for the American people to be aware of academic fraud at every level of education. So, what happened last night on Friday the 13th?